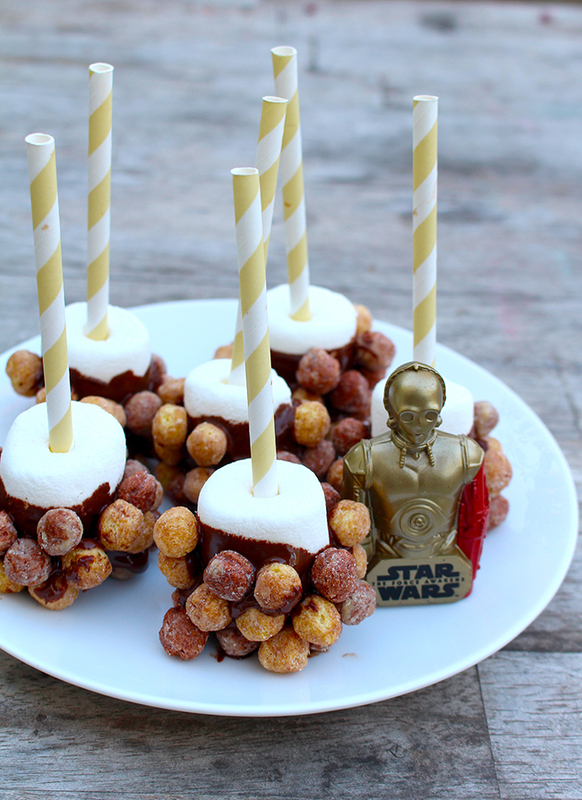 Celebrate your excitement over the release of the newest Star Wars™ film with these Star Wars™ Cereal Pops! 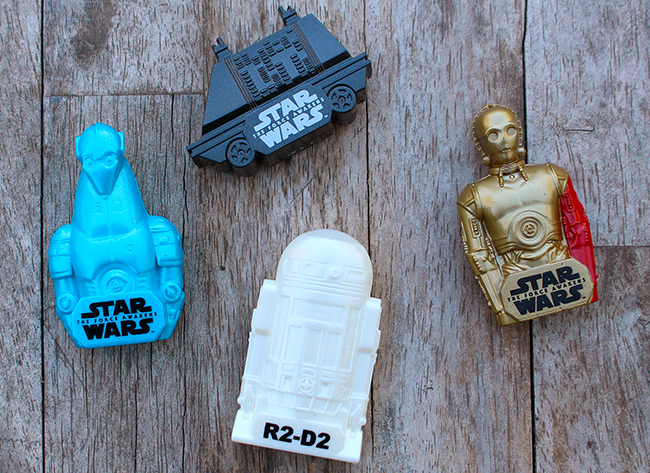 I think it’s safe to say that we’re pretty big fan of Star Wars™! Our house is full of the evidence, from costumes, to building sets, to every color of lightsaber imaginable. 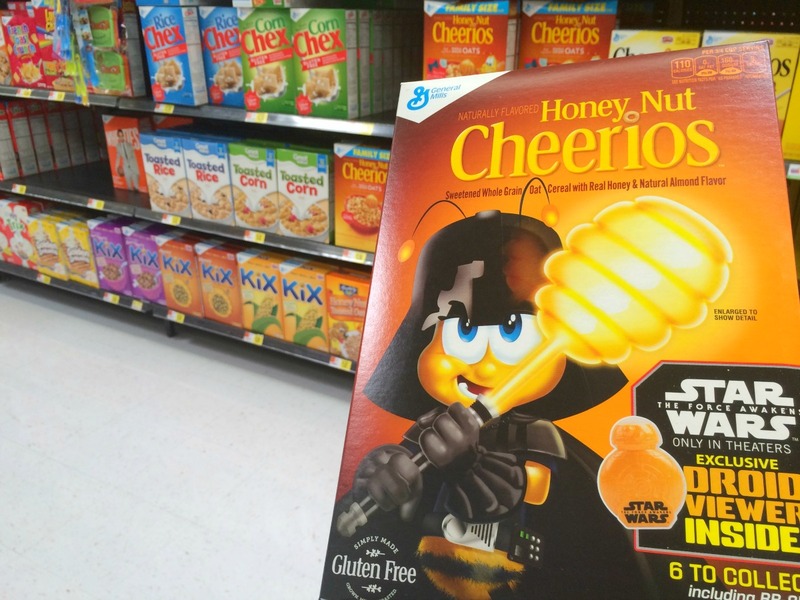 All of the hype for Episode VII (aka The Force Awakens) has all my boys very excited. 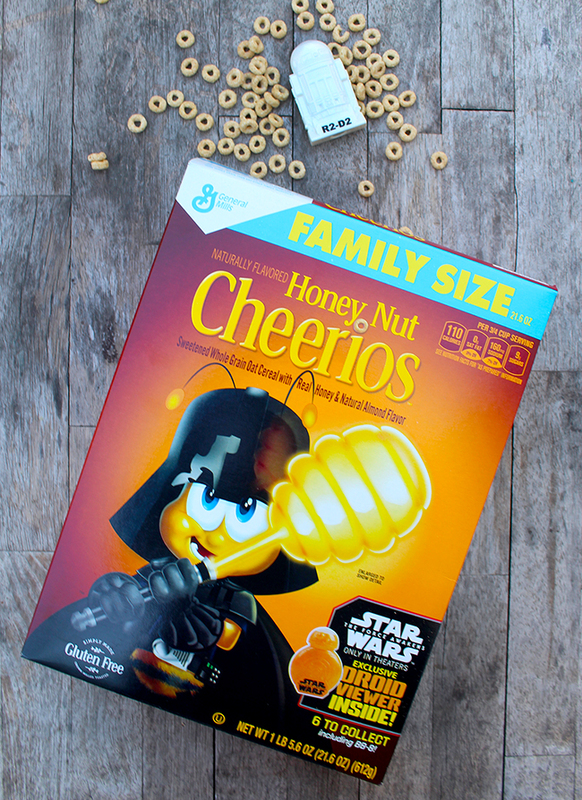 I can’t help but join in on the excitement too, so when I saw these General Mills Star Wars™ cereals at Walmart, I had to pick some up for a fun Star Wars™ treats. 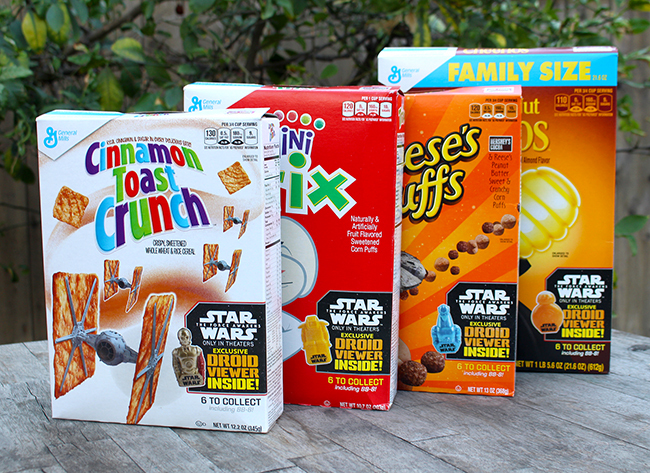 Each specially-marked box comes with a cool little droid viewer inside, so of course I had to get multiple boxes to make sure there would be enough viewers for everyone. When held up to a light, each viewer shows a scene from the new movie. 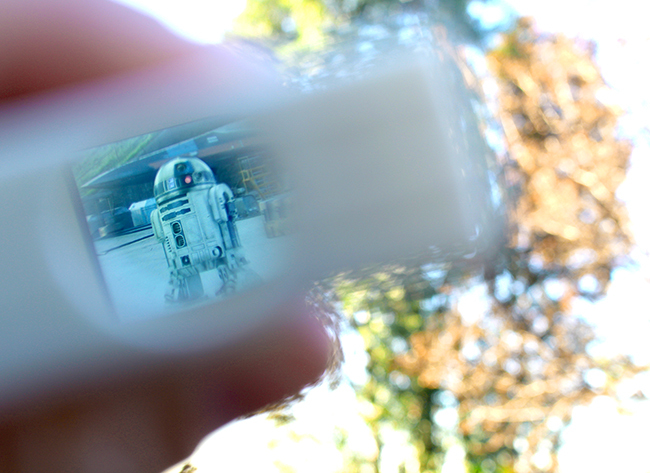 My boys thought that was so cool. 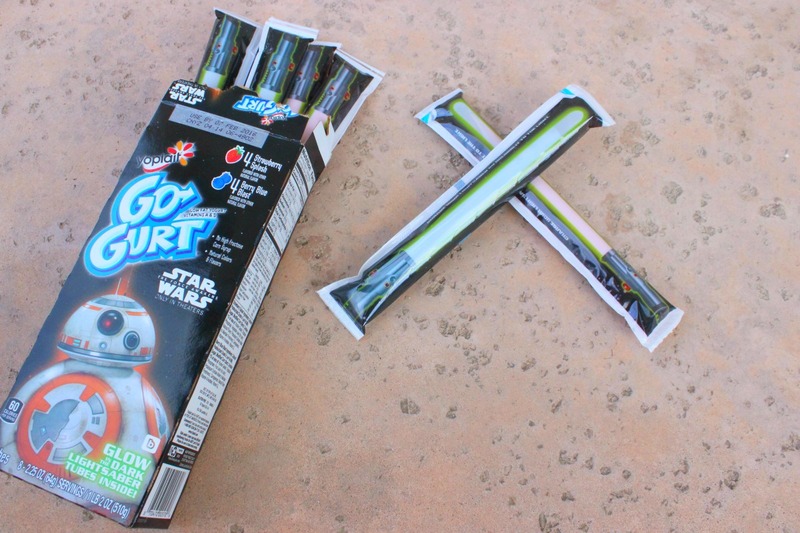 While the boys played with their Droid views andStar Wars™ Go-Gurt tubes, I whipped up these quick and easy Star Wars™ Cereal Pops as a fun after school treat! 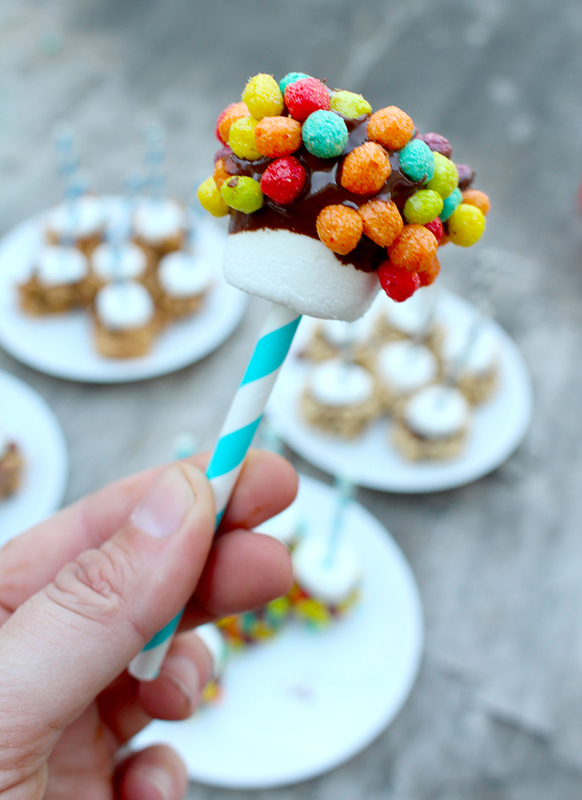 Stick a paper straw into the middle of each marshmallow and set aside. Pour cereals onto plates. Melt chocolate candy wafers in the microwave according to the package directions. 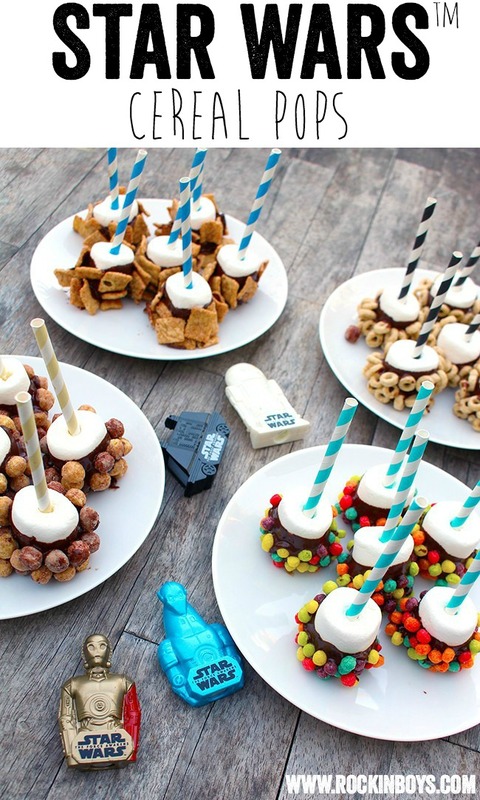 Once your chocolate is melted, dip marshmallows about halfway into the chocolate, and then immediately roll in one of the cereals. 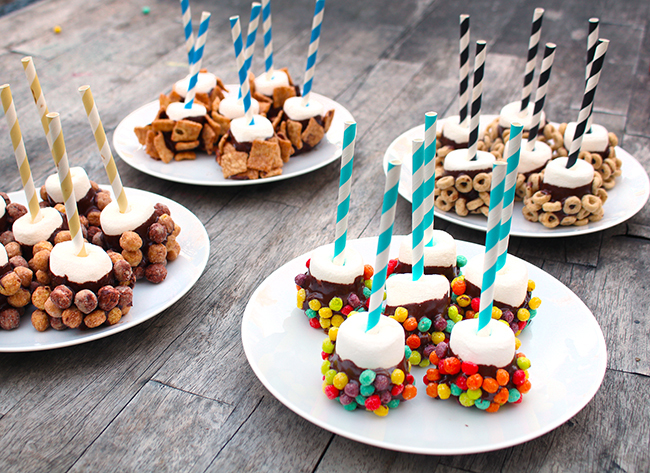 Repeat until you’ve used up all of your marshmallows. Let cool so that the chocolate hardens then enjoy! I probably could have let the boys help make these, but they were too busy acting out scenes they made up about the new movie. Luckily no one was too busy to take a snack break. 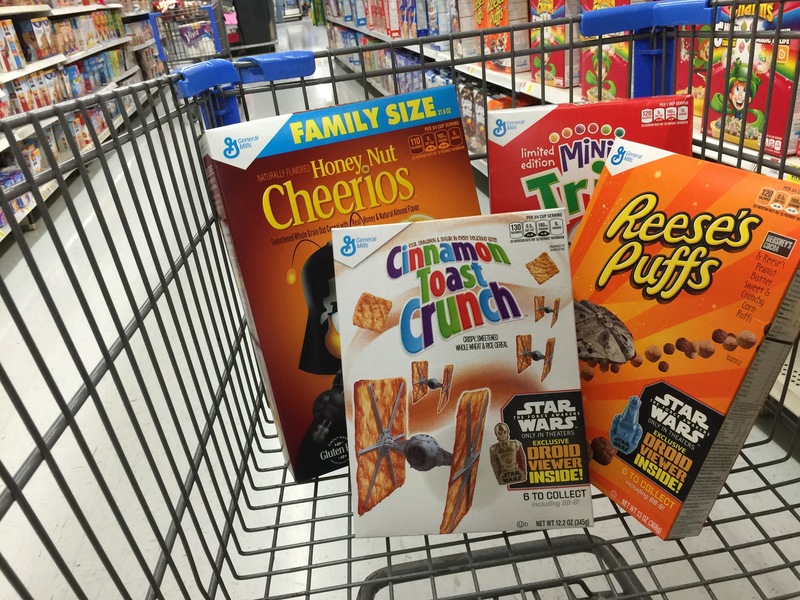 Head over to Walmart to pick up these fun cereals, and make your own delicious Star Wars™ Cereal Pops! 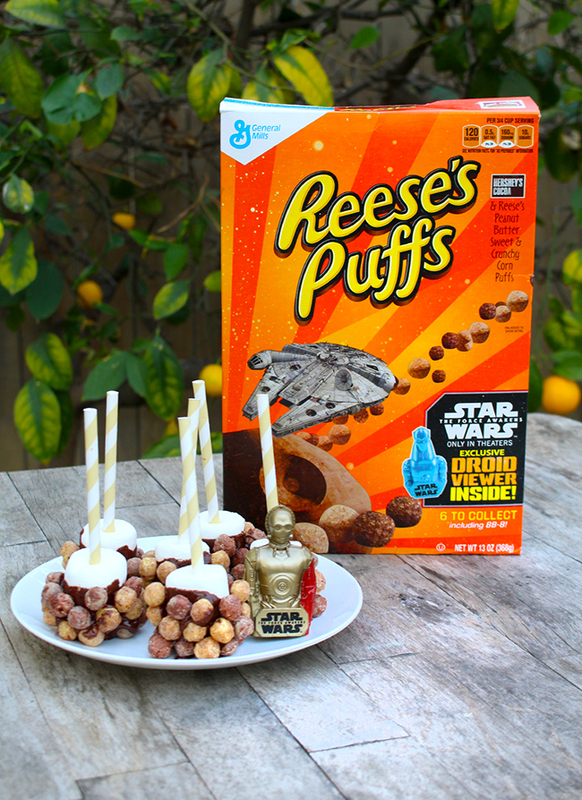 For more fun Star Wars™ themed recipe ideas, visit the Awaken Your Tastebuds website!